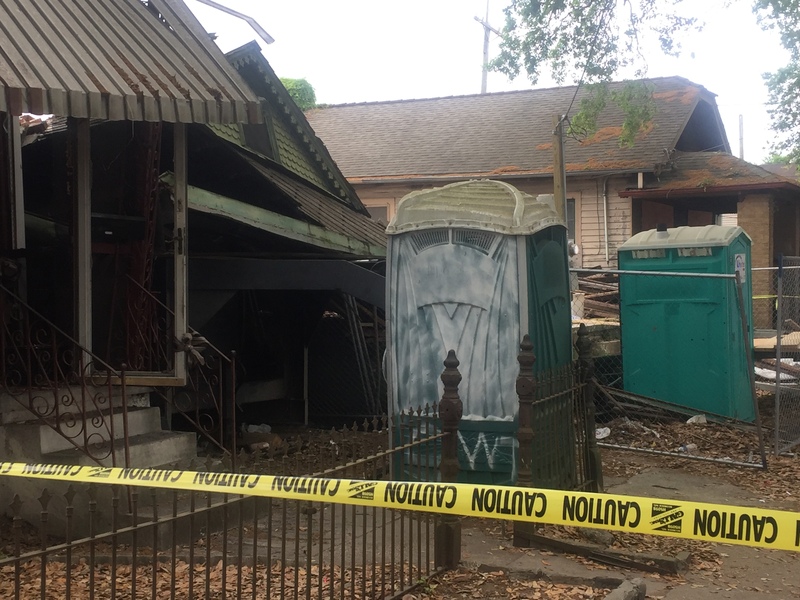 A Washington Avenue home collapsed Monday afternoon injuring at least one man and stalling traffic in the area for several hours. 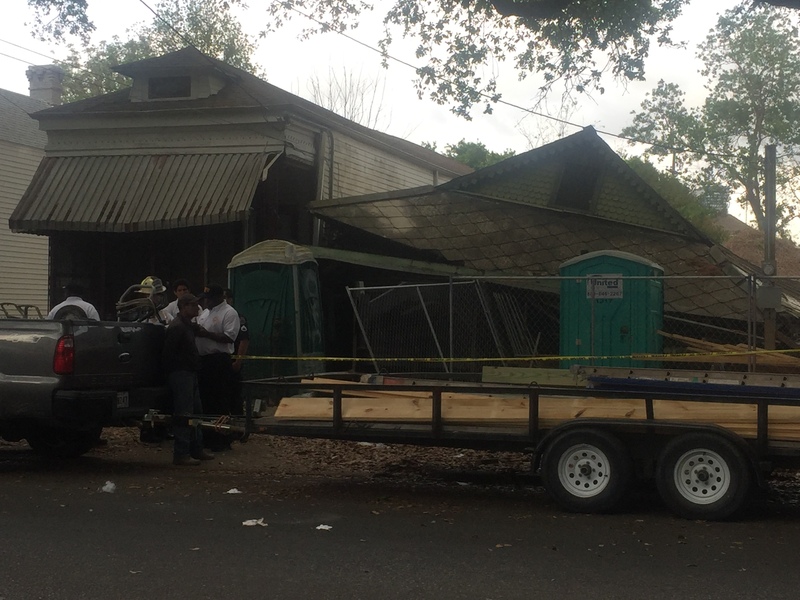 The home, in the 2300 block of Washington Avenue near Lasalle St., collapsed a little after 4 p.m. Monday. New Orleans Police blocked traffic to the area for several hours while EMS and Entergy crews were on scene. The home was surrounded by a metal fence and port-o-lets, and neighbors said crews had been working on the home (and a neighboring home) earlier. 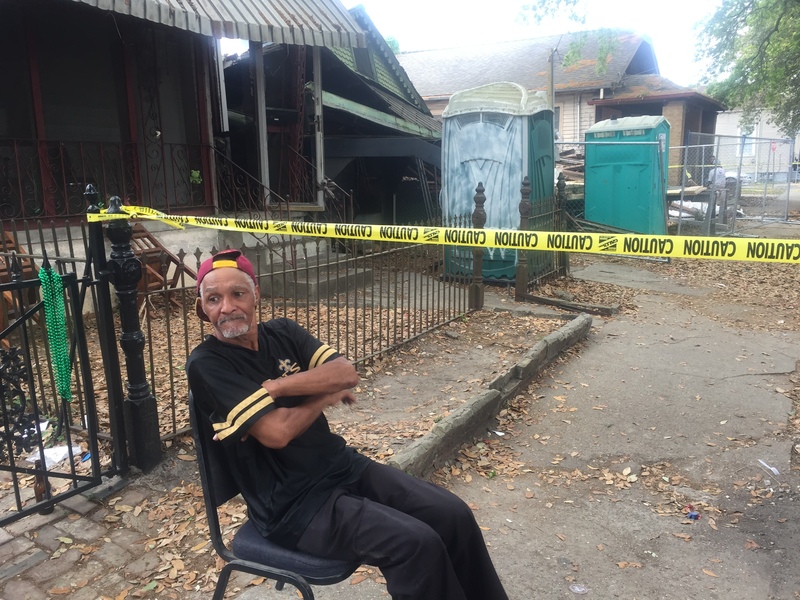 A next door neighbor named Willy was sitting in front of the collapsed house around 5 p.m. He said was was watching TV when he heard a loud noise, and peeked out his front door. “Nothing but dust. Couldn’t see nothing. So I came out my back door that’s when I saw all this,” Willy said. Willy said his neighbor, who lived in the collapsed house, was in his kitchen when the roof fell in on him. The man was taken to the hospital and his condition is not known as of Monday evening. Willy, who lives at 2317 Washington Ave., sits next to his neighbors’ collapsed house Monday, March 26. 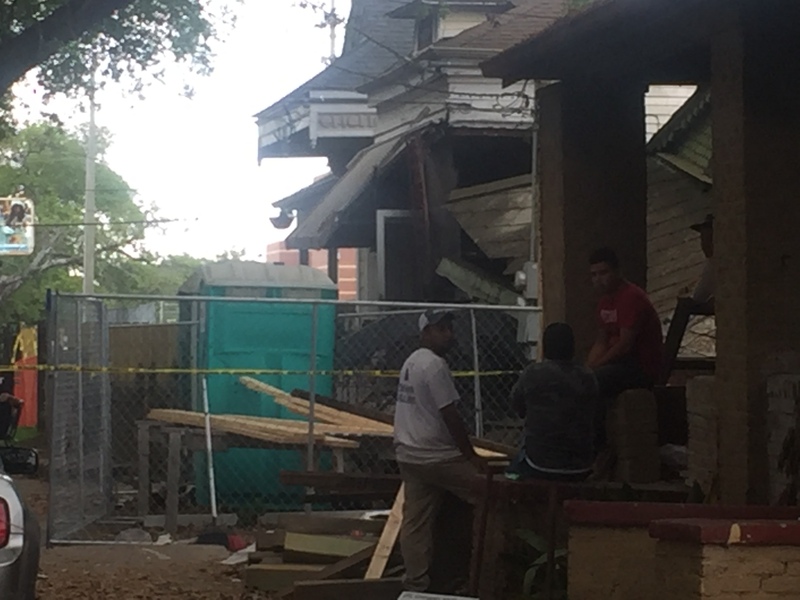 People gather next to a collapsed house in the 2300 block of Washington Avenue. A home in the 2309 block of Washington Avenue collapsed Monday, March 26.